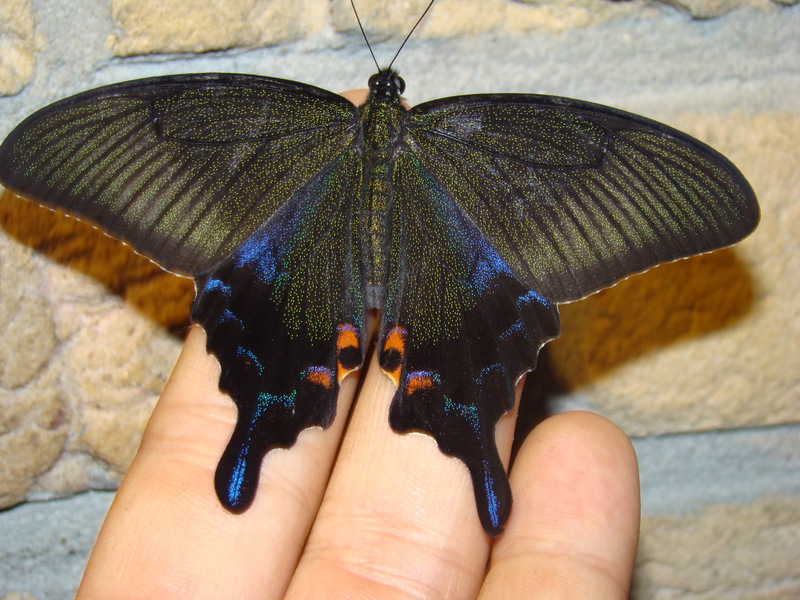 Papilio dehaani — “Chinese peacock swallowtail” | Welcome, visitor! 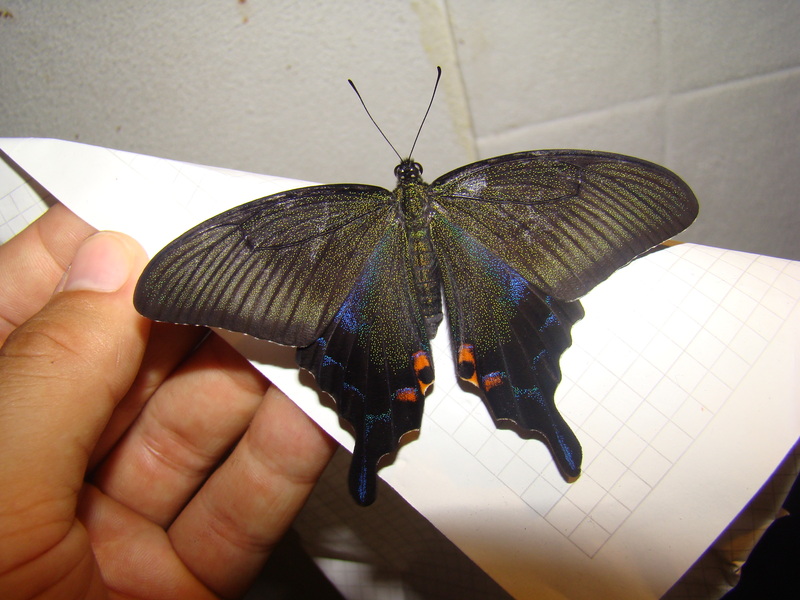 Papilio dehaani, the Chinese peacock swallowtail, is an Asian Papilionidae species with amazing metallic colours. 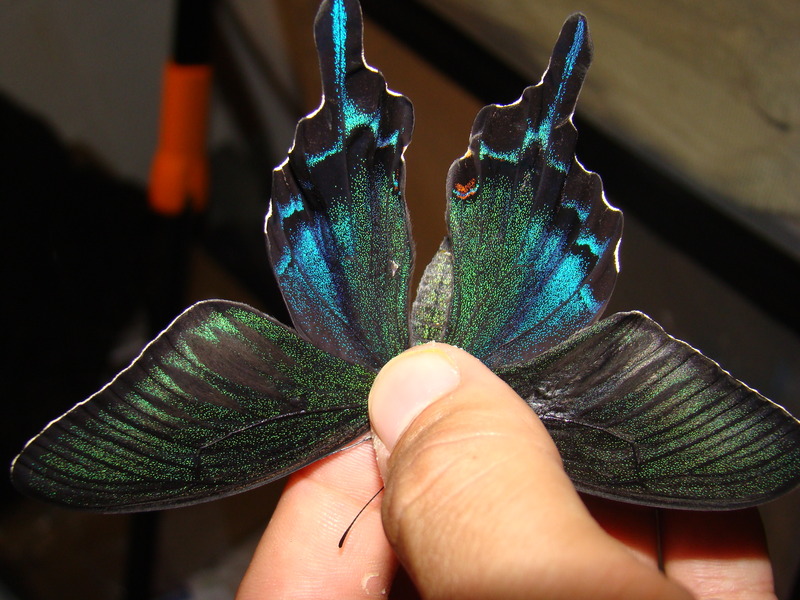 This shiny species looks like it has been sprinkled by small iridescent scales. Before I continue, I would like to give a shout-out to my friend Tassos, who has been breeding this species for many years in his apartment, selectively breeding them on colour! Without his expertise, I would have been unable to write this extensive caresheet on them. 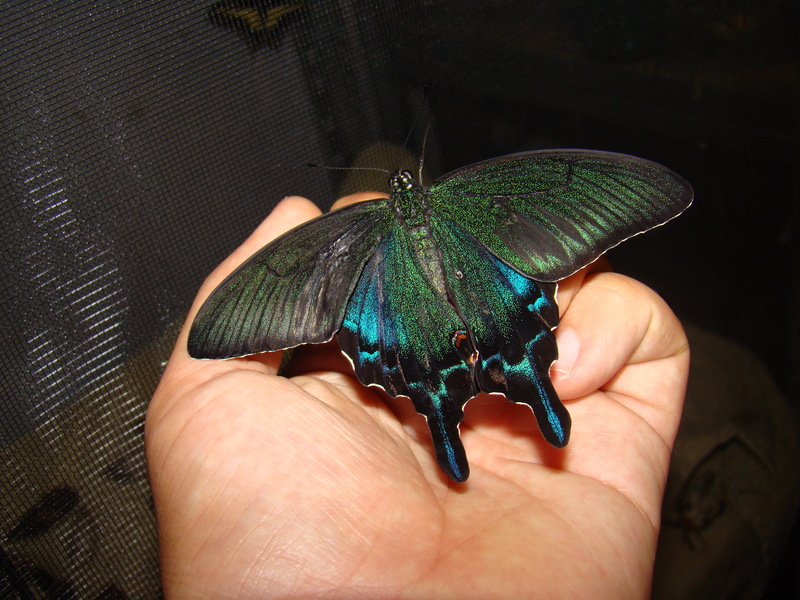 A splendid female of Papilio dehaani. Papilio dehaani is a Rutaceae feeder, that accepts plants from the Citrus family, including Zanthoxylum, Choisya, Phellodendron, Citrus, and probably Ruta and Skimmia aswell. Their flight is graceful yet erratic. They display seasonal dimorphism, having a distinct spring and summer form. 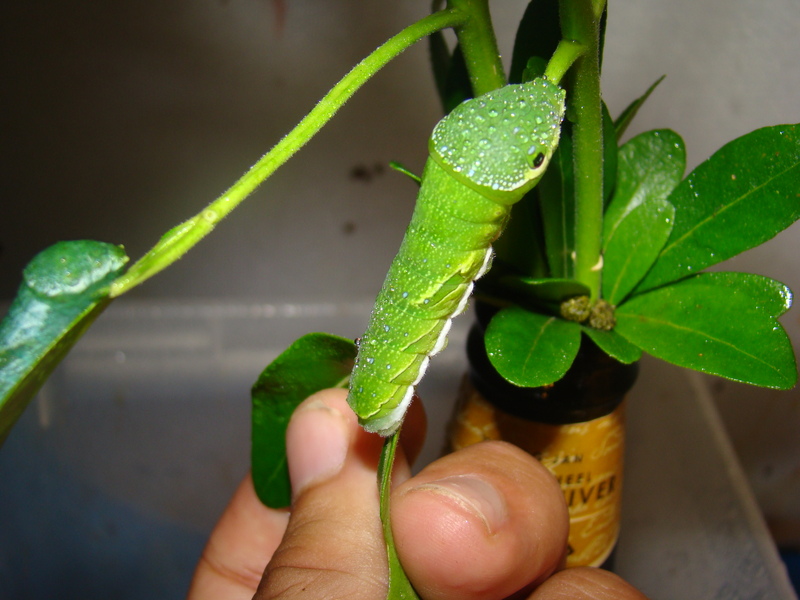 The snake-like lime green larvae can be reared in captivity, preferably loosely reared on the host plant. There is also sexual dimorphism, as males seem to posses the more brighter and light colouration, while the female tends to have much darker colours. 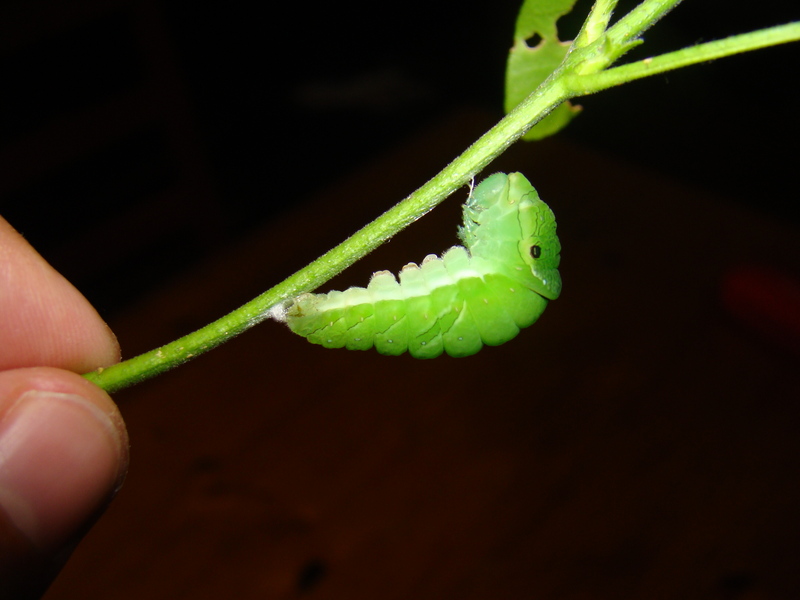 Caterpillars also do well when raised on cuttings of the host plant, bottled in water. Important is to keep the plant fresh and replace the cuttings with fresh plant every 2-3 days. Another option is to release them on potted plants or garden plants, covered with a cage or net. I would recommend Choisya as it seems to bear green leaves in winter and can be used all year round. As with many Papilionidae, they require an environment with a lot of airflow, and will not perform well in plastic boxes. Room temperature will be sufficient for them, although they can handle higher temperatures such as greenhouse conditions aswell. 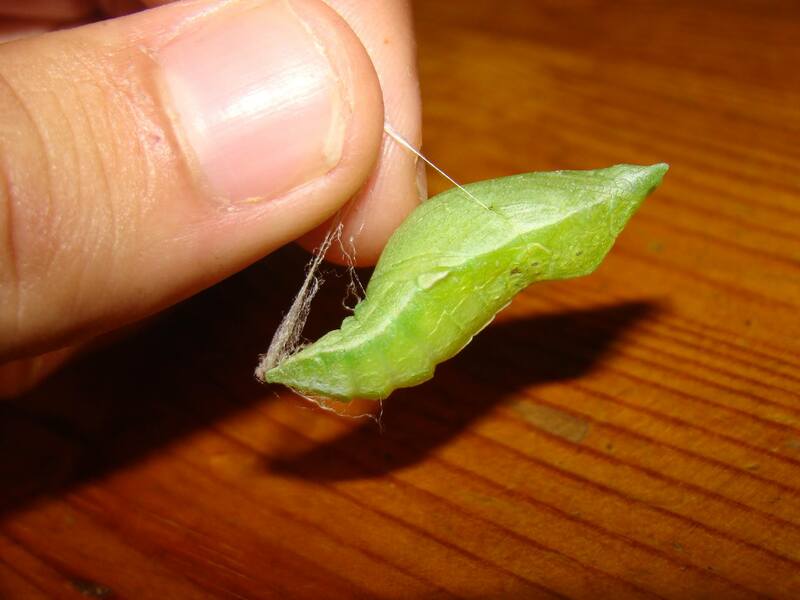 Prior to pupating, the larva attaches itself with a silk girdle to a surface, and pupates. To my knowledge, pupae usually hatch within a month, although they are capable of overwintering and handling colder temperatures, as they do in their natural habitat. In captivity however, it seems they may be able to produce continuous generations. Handpairing seems to produce good results in captivity, though they meight be slightly picky about oviposition, requiring warmth, light, being well-fed and a source of host plant. This may be easier to archieve in a tropical greenhouse, where they will probably keep reproducing without interference. Otherwise, a source of potted host plant, a breeding cage, warmth or light will certainly help them oviposit.